This is Téa my 9 month baby girl and it was her first Halloween. 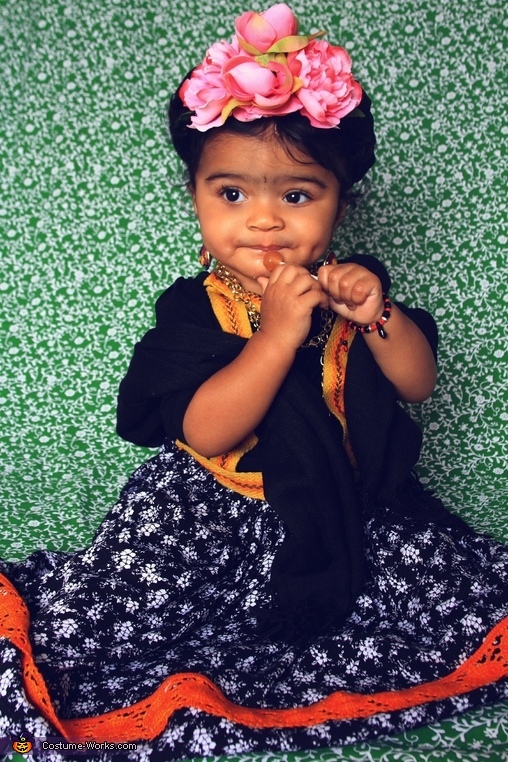 I decided to dress her up as Frida Kahlo, the Mexican artist known for her self portrait paintings. Not only did I dress her like Frida I decided to create her costume to resemble a portrait of the actual artist. I made everything by hand from head to toe. Gorgeous and simply perfect. I am trying to create my daughters Halloween costume, but I am having a hard time with the headband. Do you sell the headband?